At Trinity Laban there is a plethora of opportunities for children and young people from 2 ½ years to 18, organised by the Learning and Participation (Dance) Department. Whether you want to explore contemporary, ballet, or street dance, and if you want to take up the classes as a hobby or continue onto professional training, there is certainly something for you. The Department has found that many of their participants find independent routes through their programmes, some successfully applying to the Faculty of Dance at Trinity Laban and once they have graduated, gone on to roles in the dance industry. On a Saturday there is an extensive range of children’s classes for those aged 2 ½ to 14 years, offering the perfect start towards encouraging natural creativity, independence and nurturing individual expression, inventiveness and physical confidence. Many performance opportunities are encouraged throughout the year, with studio sharings and public performances in the Laban Theatre, celebrating the achievements of Trinity Laban’s youngest dancers. These classes are so popular that there is a 2 ½ year waiting list! Midweek inclusive classes are specifically held for those with physical and learning disabilities and their siblings to engage in playful activities that support future functioning, learning and skills in dance. 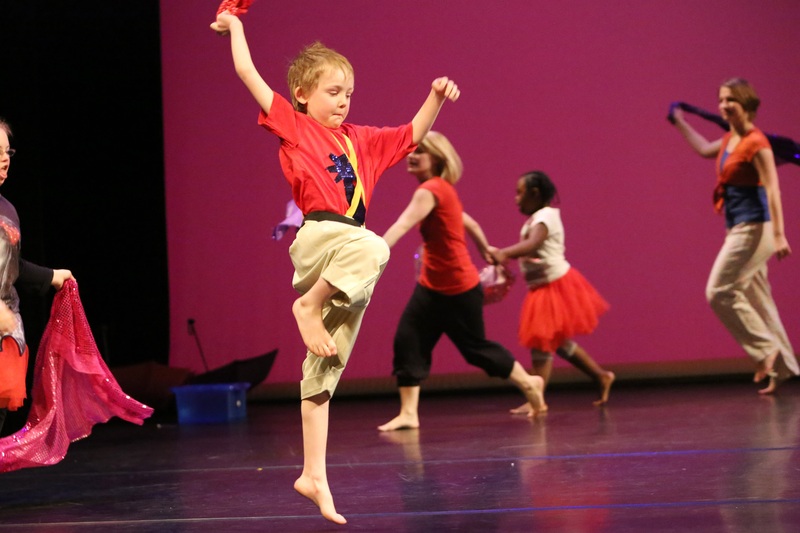 Dance Ability is for 5-12 year olds and is tailored to the needs of individual children. Nick has been assisting these classes and sees how the sessions provide an exceptional opportunity for children with special needs to be creative and have fun in a safe environment. 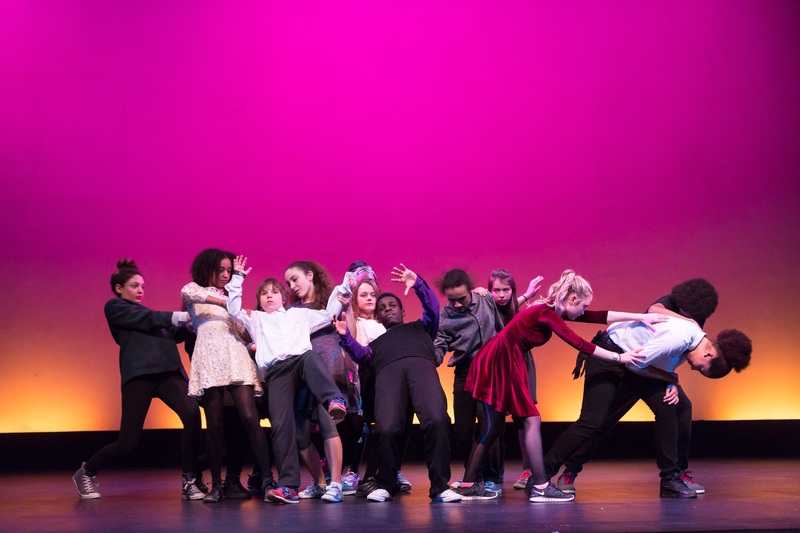 Last month these groups took part in the Co Motion – Inclusive Dance Platform event in the Laban Theatre, performing two pieces that were inspired by art and also Mozart’s Horn Concerto No. 4 (3rd movement), part of the BBC’s Ten Pieces, which aims to inspire young people ‘to get creative with classical music’. The Learning and Participation (Dance) Department also provides an extensive youth dance programme, delivering classes in ballet, contemporary and street. This includes boys only classes, as part of a longstanding drive at Trinity Laban to engage boys with dance. The classes are for 8-18 year olds split with two contemporary classes: Ignition (8-11 years) and Accelerate (12-18 years) and a hip hop class, Velocity, for 12-18 years. Nick has been assisting these classes over the past year and has enjoyed being a role model for these young boys, encouraging them to realise their potential. As part of the Youth Dance Programme every year auditions take place in September for new participants to join the Trinity Laban Youth Dance Company. This is a great opportunity for 15-18 year olds to work with professional choreographers and companies such as Random Dance Company, MIKS and Henri Oguike. The Youth Dance Company also performs throughout the year and has the opportunity to attend a residential exchange with another youth company in the UK. This year they have already performed with Candoco Youth Company at Co Motion and will be performing at the London Regional Platform for U Dance 2015 in the Laban Theatre. Previous members have gone on to train at various universities, conservatoires and colleges such as London Contemporary Dance School, Bird College and Trinity Laban. Nick had the chance to interview some of the Trinity Laban Young Dance Ambassadors, who are currently working towards their Silver Arts Award, some of whom also take part in the other programmes for children and young people at Trinity Laban. The Silver Arts Award is a nationally recognised qualification which supports young people to develop as an artist and arts leader, and develops creativity, leadership and communication skills. As a Young Dance Ambassador, young people participate in weekly sessions, focusing on arts project management, teaching and leading skills and how to produce arts events. Speaking to the Young Dance Ambassadors Nick learnt that the programme is a “fantastic way to meet new people, learn great skills and hopefully open doors in the future”. Many of the Young Dance Ambassadors also take part in Youth Dance Programme classes and are part of the Centre for Advanced Training Scheme (CAT). Last month Nick mentioned about the CAT Scheme at Trinity Laban, for gifted and talented young people between 13-18 years old. This is a pre-vocational course for those who may be interested in professional dance training. The scheme is well supported by the Department for Education, which means that a lot of the CAT students are able to attend the programme free, making world class training accessible. Watch the video below to find out more and to hear what CAT dancers think of the programme! As well as this vast array of activities that the Learning and Participation (Dance) Department delivers, workshops are organised across London in primary and secondary schools both at the Laban Building and in schools, giving young people the chance to work with reputable dance artists. These sessions also give young people a taste of what can be experienced at Trinity Laban. To add to this bespoke projects run throughout the year with international schools. The Department works hard to engage as many children and young people as possible, with a clear vision that dance should be accessible to everyone. In 2013-14 the Department engaged with just under 10,000 children and young people across their programmes. Next month Nick will be writing about work that the department delivers for adults and their continuous professional development programmes.